Friends are great! They are there when you need them and sometimes provide you with chocolate. Not everyone is your friend though, as we cover later, friends do not try and scam you. Friends support and encourage you to be the best version of yourself. Technology is, of course, no substitute for friends, humans are social creatures after all. Yet, technology can help us do great things. We can communicate almost effortlessly with people across the globe as long as they have an internet connection. Technology more than globalization has connected people across vast distances and cultures, allowing us to be friends with people well beyond our immediate geographic vicinity. Speaking of friends, this week Dominium wants to help you win 1000 DOM tokens by completing our ongoing Nxter Puzzle series, the installer for the Lightweight Contracts is ready according to Lior, another video by CryptoDemetrius explains bunding and 0 fee transactions, Elizabeth sponsors a Raspberry Pi 3 with Ardor pre-installed that you can win by taking the Ardor Bootcamp Course, updates about Triffic, Dominium, and EZYcount and their respective communities, a great Snapchat clone was created on Ardor using the power of friendship Unconfirmed Transactions, and a strong Weekly Reminder regarding a particularly stupid scam – and much more! With friends you are not lost as you discover the news of the week that was, with this newsletter as your guide! Lior is back, and so is the rest of Jelurida. 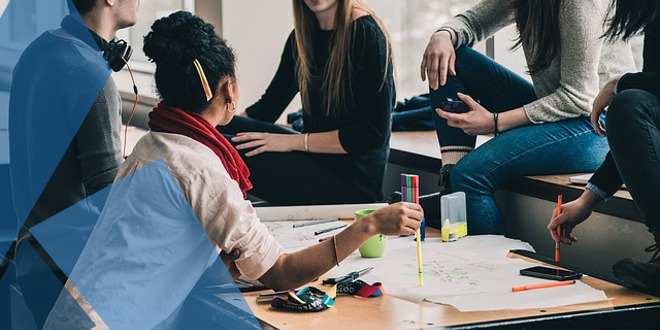 There are less than two weeks to prepare for the anticipated launch of Lightweight Contract functionality on the Ardor testnet ahead at the Hackathon, mentioned below, in Austria. 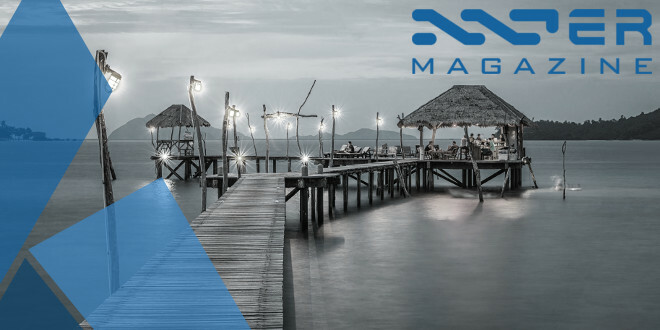 Reloaded after the summer holidays – and so is the Nxter team, BTW. Lior shows off the Lightweight Contracts installer below. Stage IV of the Summer Quest takes you on a walk through the lovely city of Rotterdam, Netherlands. Rotterdam is the city where one of the upcoming Ardor child chain businesses is based – Dominium. The rules are the same as before: find the hidden words on the map, combine them into a passphrase, and you are one step closer to winning the 1000 IGNIS prize, sponsored by ANG, which will be released in Stage 6. Even though the Rotterdam walk is just a step towards this, madfox the “Puzzle Master” also left some goodies in the Rotterdam account for the first person who solves it. 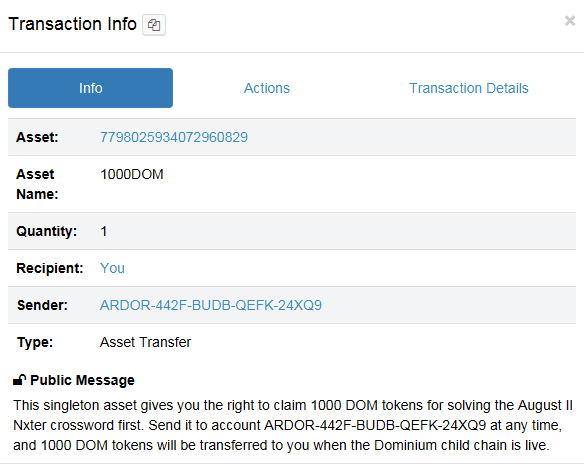 1000 DOM tokens will be transferred to the account that redeems the asset. To get it – login to the bonus account and transfer the singleton asset to your own account. 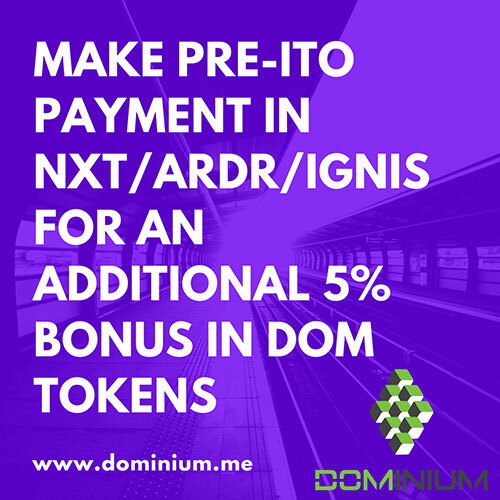 And better hurry – first come first served 😉 You can read up on DOM and the Dominium platform in this segfaultsteve review, and below. Thanks for sponsoring the prize, Gudo. Remember our coverage of the awesome Ardor Bootcamp on Udemy? 2) Get the password at the end of the course – it opens the final instructions! The winner will be announced on September 3rd. More info is in the video below. Go! Another video from CryptoDemetrius – this time explaining bundling, and the significance of 0 fee transactions. A good ten-minute use of your time if you do not fully appreciate the above Ardor concepts. Jelurida is working on creating more bundler templates that highlight the extreme customizability that they afford businesses. If you want to see subtitles in your language, let me know and I can provide the file with timestamps! It’s a very simple process for me to upload additional languages. The time for the first Austrian purposeful gaming hackathon is closing in. From August 24th – 26th 2018 the Center for Applied Game Studies at Donau University Krems is hosting its first “Blockchain Hackathon meets Game Jam Hybrid”event, where Lior Yaffe from Jelurida will also debut and showcase the Lightweight Contract functionality on the Ardor testnet! This event is free to participate in the conference and/or the hackathon, you just have to pre-register here. The registration will be closed on August 21st. The participants of the hackathon will be split into two groups with the purpose to create a collector’s game with an educative purpose. An example would be to build a collectible card-game about the “17th century Tulip-Mania” in Amsterdam. The winning team will get a bounty powered by Jelurida. The program looks awesome! See it here. Triffic’s pre-ICO Part 2 begins September 3rd, 2018. Before the ICO goes public you need to whitelist your account according to KYC / AML procedures, join the whitelist here. As mentioned last week, the reason for the ICO hiatus is for interested parties to be able to test the Triffic app, the all-important interface between users and a blockchain-powered, gamified GPS experience. The Dominium pre-ITO is live this August 14, 12:00 CEST, for those who are on the whitelist! Last week, on Thursday, August 9th, there was a Dominium AMA (ask me anything) on Reddit. Dominium is a global property platform using blockchain technology in order to help real estate professionals, authorities, organizations, and investors succeed through a global centralized marketplace for all property related activities. What follows are some of the questions that members of our community asked which were answered by Dominium staff. There also is a great video that explains their token model and how they plan to use the funds raised in the ITO. 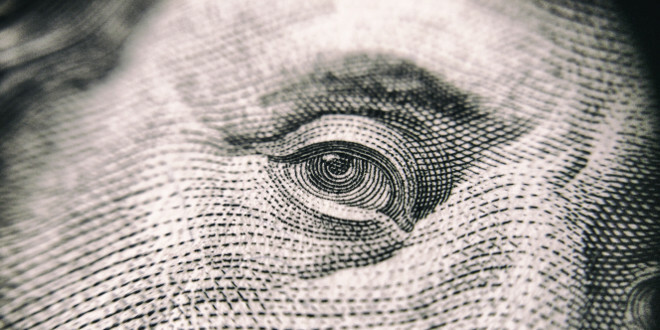 What is Dominium’s plan of liquidating crypto, which will be received in ITO? Dump them or something else? Most of the Crypto received will be converted to Euros and GBP as we will purchase property with this. We will of course keep some Ardor as we will need to pay fees with this, but it should be clear that we are building a property portfolio to generate sustainable income, which in turn is used to buy back and burn DOM. My point in question was about timing of liquidating of crypto. You are right, not yet 🙂 give us some time 😉 We are looking to liquidate crypto as it comes in, as it is not our goal to be speculators on crypto fluctuations. It is exactly what we are trying to avoid with our structure. Steady rental income = steady demand for DOM = stable price & burn = less in circulation = steady increase in price. That’s what we all want to see. [I fear] Ardor is not liquid enough and I want to know how much it will affect Ardor price. Hi Utmich. As mentioned *we will not sell Ardor, as this we will use for future fees on the childchain*. We may sell some, but we are of course not going to crash the Ardor price! The Dominium ITO has sparked a lot of mentions and articles, some great and some of lower quality. A recent article in cryptodaily.co.uk talks about Dominium (mentioning Ardor), and another, published on Hackernoon, goes into great detail about the history of IPO’s, the dot-com bubble, token economics, ICO’s vs. ITO’s, as well as the dangers and potential gains associated with them. 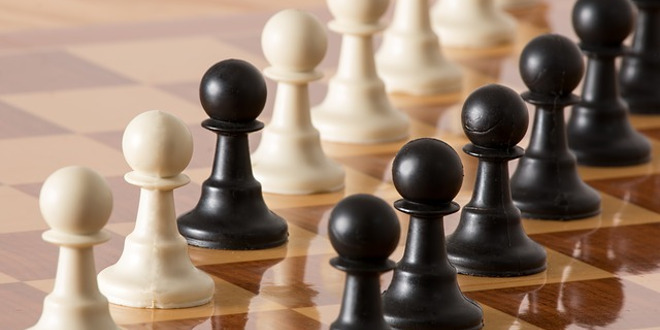 The author analyses what Dominium offers and why they chose an ITO as an investment model. EZYcount is one of the first companies to market the term, Token-as-a-License (Taal). The idea of tying software license to a blockchain token is useful because it is impossible to lose, and is very easy to verify who the current owner of the license is. 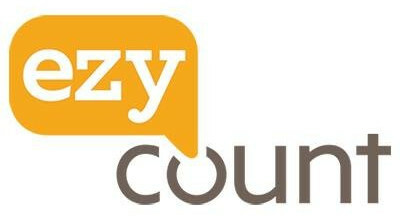 A current example of a life-long EZYcount TaaL would probably cost around 20,000 EZY tokens (around 2,000 CHF) and would grant the holder of the TaaL usage of EZYcount software in-perpetuity. Last week EZYcount joined the SAP open ecosystem and announced that they have a bounty program! The ongoing story of Janus continues with its twists and turns. 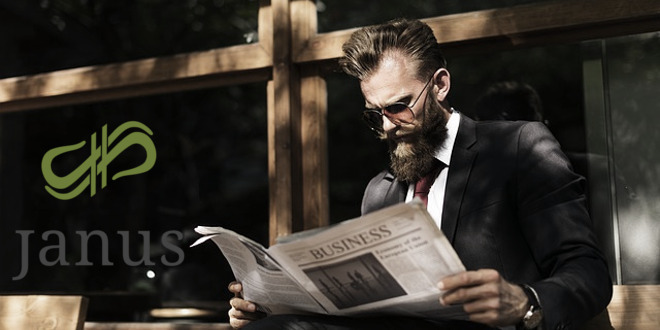 For the latest update about Janus’ tokens issued on the Ignis chain, see last week’s newsly. A project that was completed last week, or at least publically working, is their blockchain news aggregator site. Hi, guys. Our new aggregator news website: https://coinhub.news Check it out! 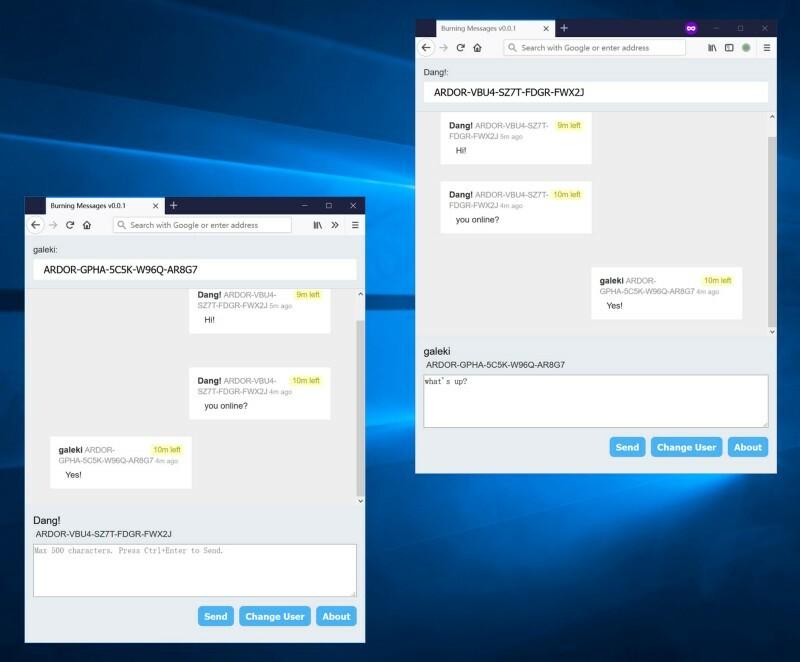 Recently we covered a Twitter clone on Ardor, and this week we present to you a private decentralized chat app: Burning Messages. Very much like Snapchat, and the messages will expire after 10 minutes! This is another great example of a creative use of the blockchain and demonstrates, yet again, how Ardor technology – like unconfirmed transactions – is your friend. Check out the MEDIA section for an article from the creator with more specifics about the power of unconfirmed transactions. This is awesome man! You have just built a decentralized version of Snapshat. I tried bundling the transaction with a not valid reference transaction and indeed, it is not possible to bundle it. I can think about several use cases IoT related where it can be useful. Learn more about the article Galeki wrote on Medium here. WARNING: A few days ago we stumpled upon the (maybe) latest SCAM: Nxtminer. Their “offer” is packages for the mining of NXT, perhaps they do not know that Nxt and mining do not go hand-in-hand … what a shabby scam. Do not be fooled, these people are not your friends as friends do not lie to you and try to steal your money! Side note – if your friends do act that way, get new friends! 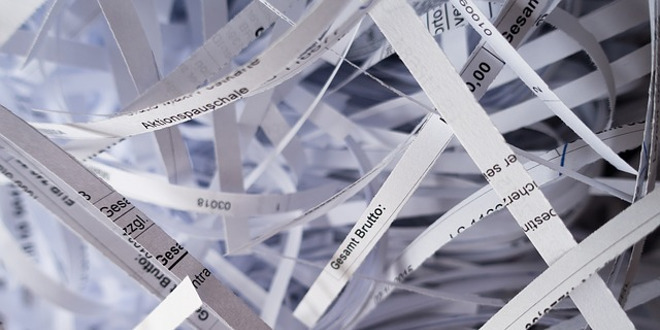 It might be even worse than the Nigerian prince’s emails pleading for money. 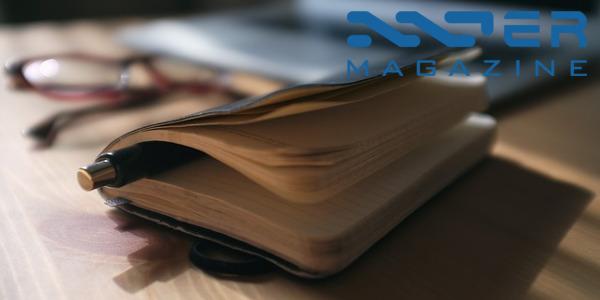 As much as the media ignores us, Nxt’s blockchain is the first 100% PoS blockchain. Come on guys, if you are going to scam others at least know your platforms. As always, there are opportunities for community voting to help list Ardor / Nxt / Ignis on new crypto exchanges and even some old ones. As long as the listings are still up there are still opportunities for you to help the community by casting your vote, new this week is Shardax! Man, some people are better at spending their weekends be productive than others! Longtime community member, galeki, built a Snapchat clone in Ardor and wrote this post about it. 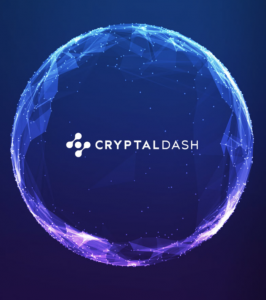 Learn about how this product makes use of Unconfirmed Transactions to send 0 fee instant messages that are not recorded on the blockchain! I call it Burning Messages. It’s a Private Chat dApp build on the Ardor platform. Burning Messages uses the Unconfirmed Transactions of the Ardor platform. The idea is to send encrypted messages with 0 fee which will never be confirmed or recorded on the blockchain. Messages are instant, depending on the speed of broadcasting. It no longer depends on blocktime. 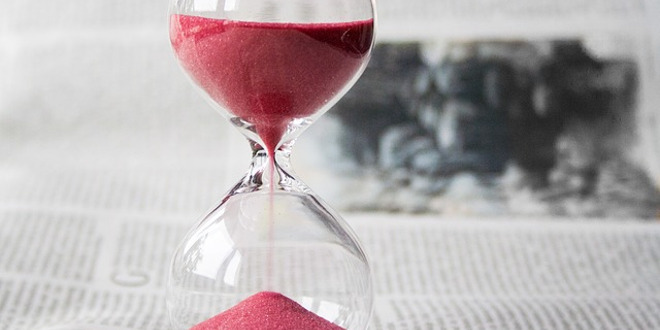 No one can dig through your chat history or steal your messages — everything is gone after the deadlines. It’s free. An account with a verified public key is the only thing you need. I’ve tested the chatting between a Tokyo and a Los Angeles node. The messages showed with a 1~2 seconds delay, almost like an instant messenger app. This week Lior points out the dangers of shortcuts and not fully appreciating the dangers inherent in improperly using anything, be it a product development methodology or a clone of a blockchain. An informative read. (…) Recently, I’m seeing a similar trend in the blockchain world, I call it “Blockchain But”. For example, I’m running a blockchain but the token has no value, but there is only a limited number of block generators, but I’m replacing the working consensus algorithm with something which is simple to hack, but I’m setting up some centralization mechanism, but I assume all parties are honest, but I assume nobody will spam my network, but I can censor transactions, but I store most data off chain, but I don’t care about blockchain bloat and on and on. All these “buts” usually represent lack of understanding of decentralization and the basic principals behind the blockchain revolution. Furthermore, such compromises lead to sub-standard implementations which may prove insecure or dysfunctional in the long run. And that is the news of last week! We are happy you found your way here this week, and hopefully, we will find you back here next week, but we cannot offer you chocolate!